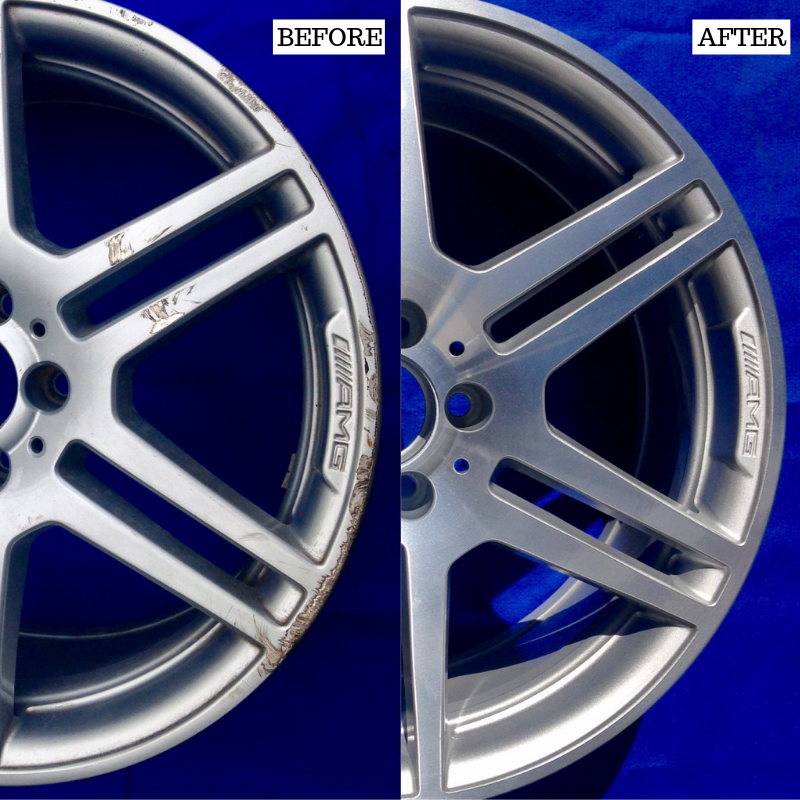 Ever wondered what the wheel reconditioning process is like? Well look no further, today we will dive into the behind the scenes process. 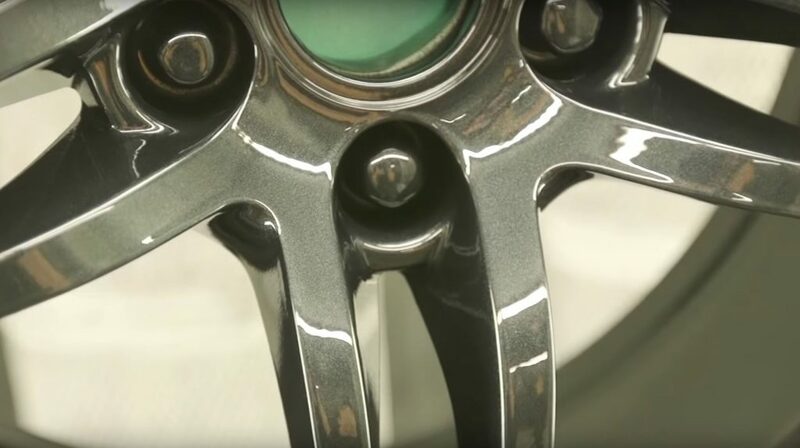 Wheel reconditioning not only significantly improves a vehicle’s appearance, but it can also enhance the safety and reliability of your wheels by ensuring that there are no wheel defects and that the wheel is repaired for optimum performance. The wheels are submerged in our stripping tank. As a chemical based stripper, it does an excellent job at removing the old finish, surface contaminants, and any existing paint from wheels without marring the surface. Should the wheel contain extra material or buildup, a sand blaster. The plastic urea in the sand blaster takes off the remaining finish and residue without damaging the wheel. With the wheel cleaned and bare, each wheel is thoroughly inspected for rust, cracks, bead seat wear, and bolt hole distortions. The wheel is sent back to the customer as too damaged for reconditioning if the wheel does not pass inspection. Any damage, scrapes, and curb rash need to be repaired. Depending on the extent of the damage, we use one of two options. If it is a minor surface blemish, then it is just sanded by hand, and the wheel will look as good as new. If it is a deeper gauge, then further steps are required. The gauge needs to be prepared and filled with additional metal. Once the weld is allowed to completely dry, it is sanded. 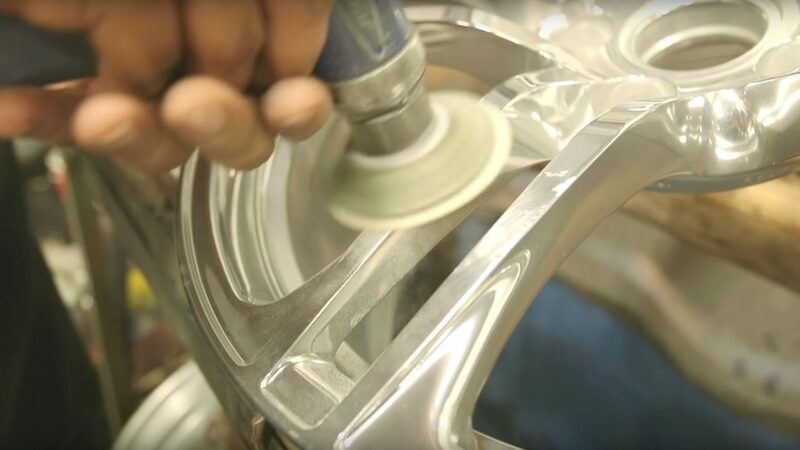 The wheels are coated with a special primer. In addition, to helping the paint adhere much better to the wheel, the primer helps prevent against wheel corrosion and rust. 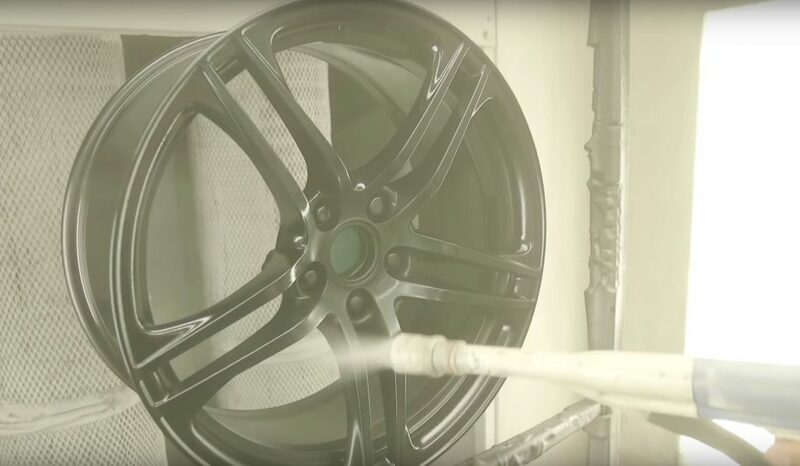 As wheels enter our cutting edge spray booth, our paint is electrostatically charged and applied onto the wheel. This electrostatic charge ensures that a uniform mil thickness is sprayed to each wheel. The newly applied powder coat is cured in an oven for 30 minutes. 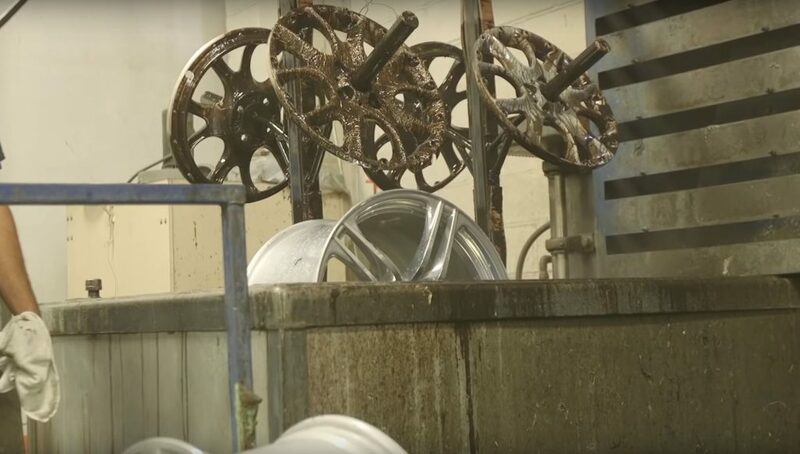 The automated process ensures that the powder coat applied on each wheel cures for the same amount of time. Once allowed to cool, a final inspection takes place. We use a digital mil gauge to measure and verify paint thickness. Our specialists also check for defects in the powder coat and for the “orange peel” effect. When the quality of the wheels meets our strict standards, the wheels are ready to go. They are labeled and shipped to our customers.